Given a Two Binary Trees, write a function that returns true if one is mirror of other, else returns false. 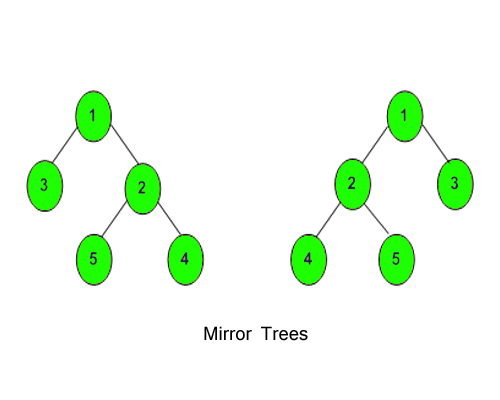 The task is to complete the method that takes two arguments, roots of two Binary Trees to be checked for mirror. The function should return true if first tree is mirror of second.